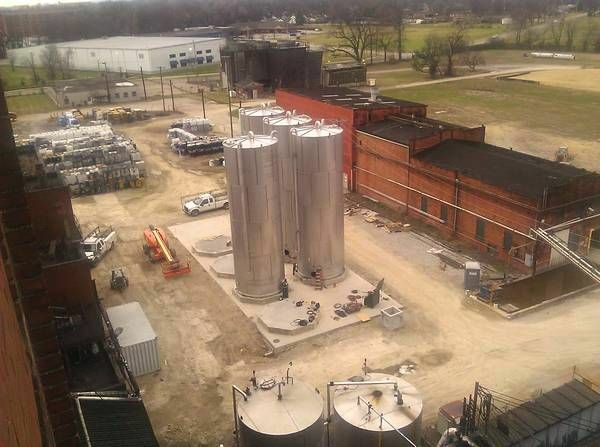 This project included the installation of a large concrete pad to support industrial storage tanks. 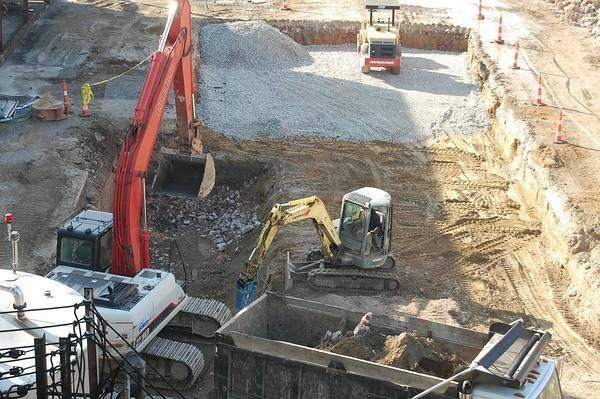 The scope of work included excavation for a new foundation as well as a demanding reinforcing steel tying operation. 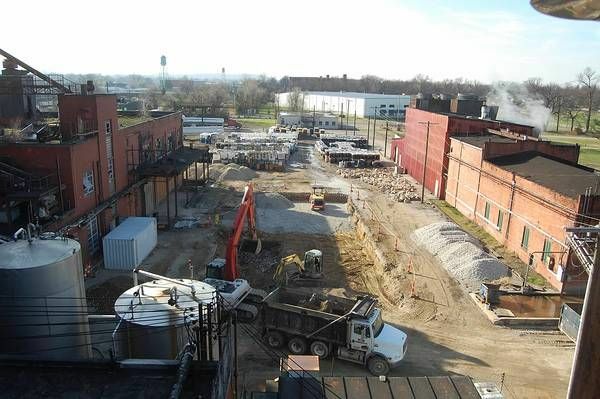 The tank site was in an area of poor soils which required remediation prior to installing the concrete slab. During the excavation of the soft soils, an old building foundation and basement was discovered. The basement and foundations had to be removed and backfilled with structural fill to provide a stable foundation. To ensure the new concrete slab could handle the enormous loads once the tanks were in place and filled to capacity E-Z coordinated with the concrete provider and conducted tests before, during and after installation.